Haaaapppyyy Friiidaaayyy! I woke up in a great mood this morning 🙂 At 7 am the sun was shining, the birds were chirping and since its Friday, it’s my OFF day from training. It really does finally feel like spring! Another reason I woke up in a great mood this morning was last night’s Woman Night. Yes…you heard me right, Woman Night. Ever since Chris and I started dating, we have both found that it is extremely important to make time for ourselves. We clearly love spending time together, but time alone with the guys/ time alone with the girls is A MUST! So…Thursdays have become his night to go drink beer, eat pizza and talk about man things and Thursday nights are my nights to go try out fun new restaurants, drink martinis and talk about all of the cooking, baking, gossipy GIRL TALK that I want to talk about! I used to call my Thursdays Girl Night, but if Chris is having Man Night….I decided that I am having Woman Night. 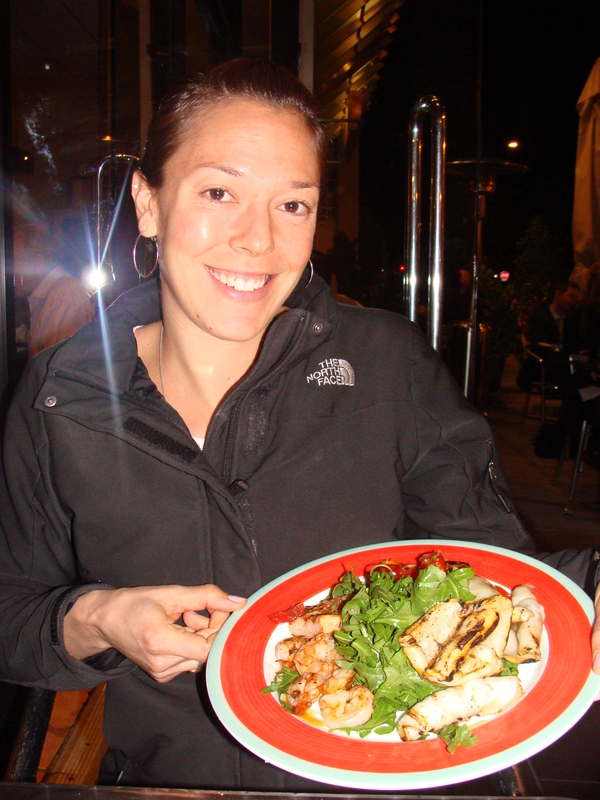 Last night I met up with one of my favorite training AND eating buddies, Jenny. 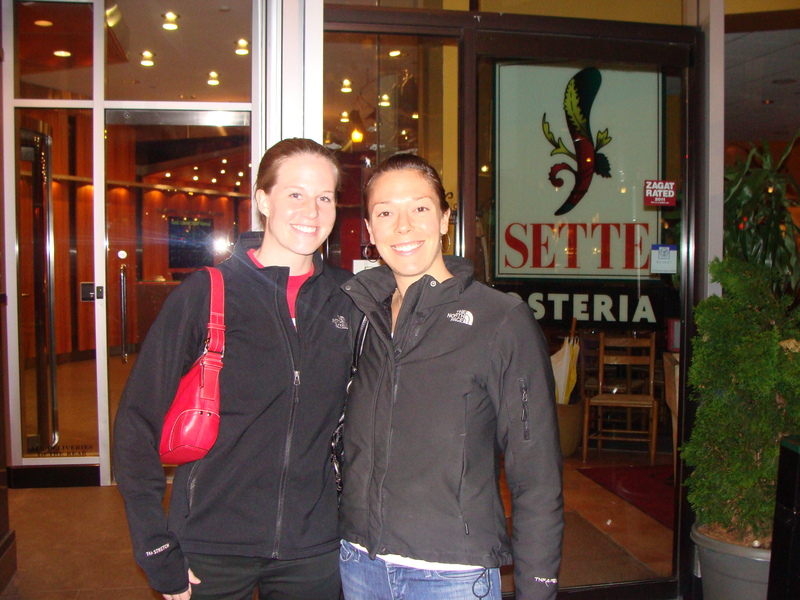 We had both just come from training sessions on the bike, so please excuse the jeans and North Face attire 🙂 We decided to meet at Sette Osteria. I was actually there a few weeks ago on another Woman Night but it was so good that I suggested we go again! And it didn’t let us down. 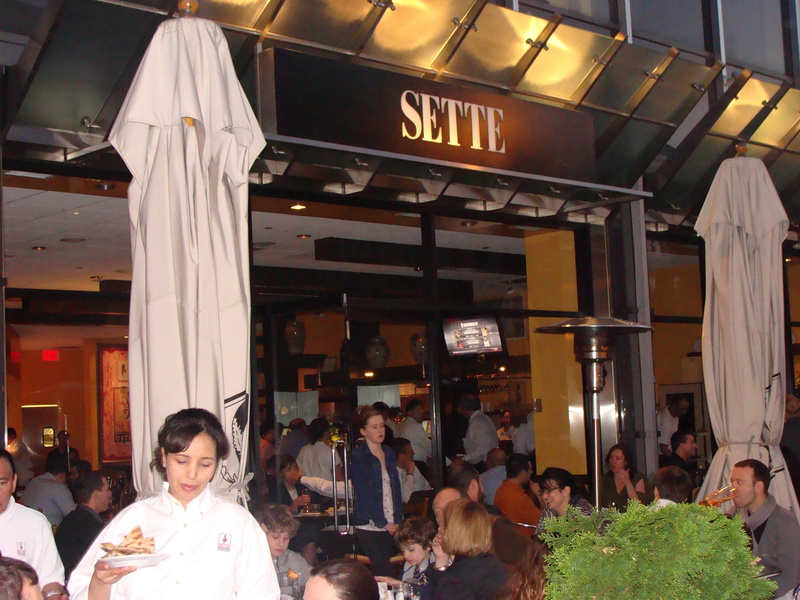 Sette is located in Dupont Circle in Washington D.C. One of my favorite things about this restaurant is the fact that it has an open patio in the spring, summer and fall. We sat down at our table and were gabbing so much (about lots of girl things of course) that we had to actually make a point of stopping our conversation so that our waitress could finally take our order. 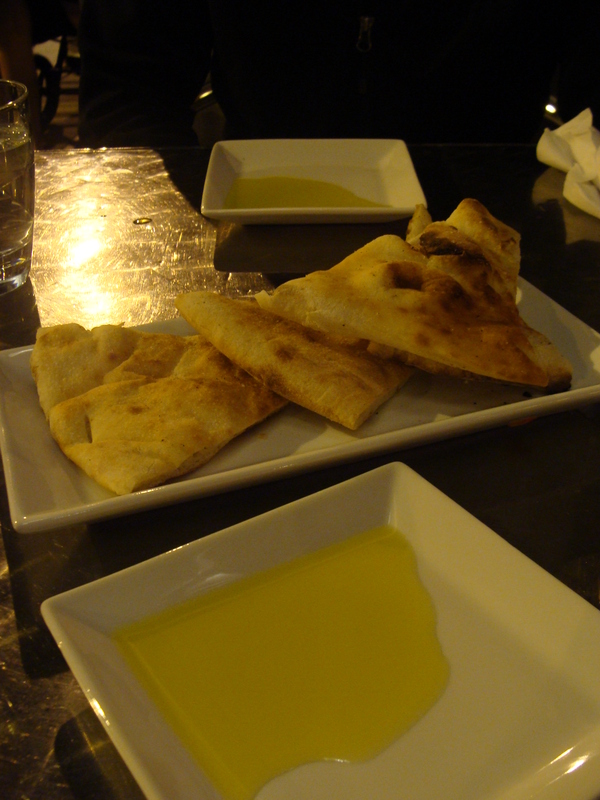 We also knew that we wouldn’t be getting any of the amazing focaccia bread until we ordered. This bread was warm and crusty on the outside but really soft on the inside. It was also sprinkled with a little sea salt, which made it even more delicious. We asked for a few “refills” on the bread. We were both pretty hungry from our rides, so we decided to split an appetizer. 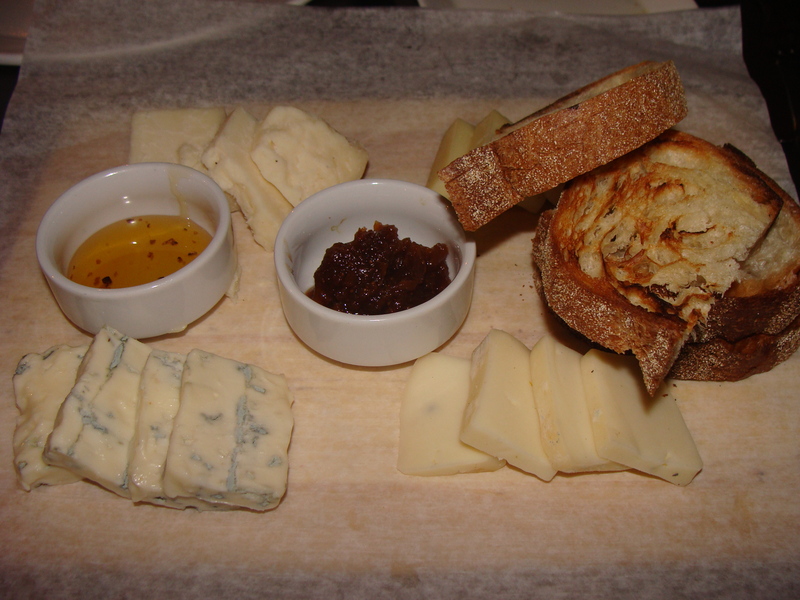 We decided on the Tavolozza Di Formaggi–Italian cheeses served with fig jam and truffle honey. YUMMO! We licked those two little bowls clean. The service was a bit slow, but we honestly didn’t mind waiting for our entrees because we had so much catching up to do! 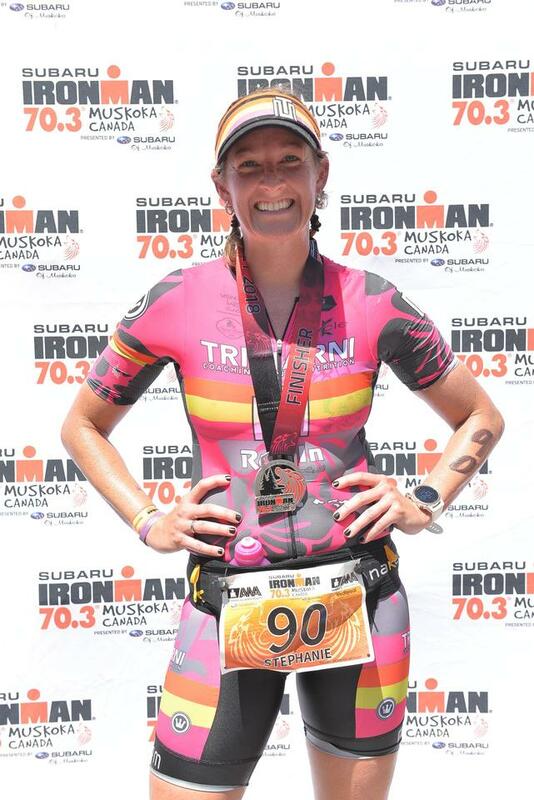 Jenny has her first triathlon of the season on Saturday, the Rumpus in the Bumpass Olympic Triathlon(great name huh?! ), so of course we spent time talking about race day and our upcoming seasons. 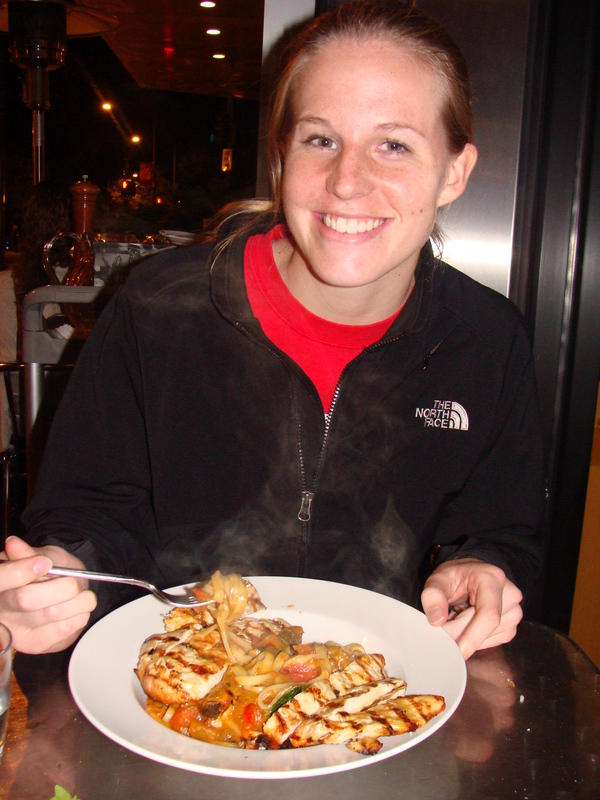 For her entree, Jenny ordered Capellini with peppers mushrooms, basil and fresh tomato sauce. 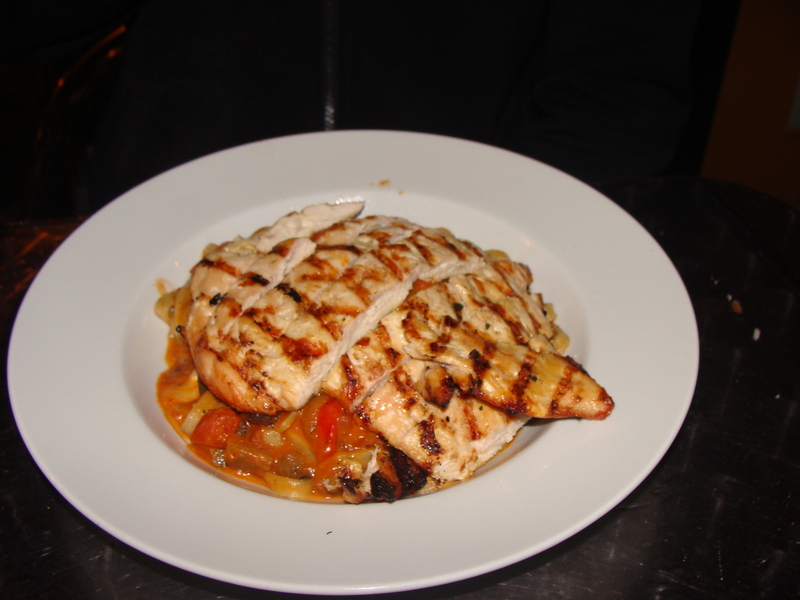 She asked for chicken on top to add a little more protein to the meal. They gave her quite a bit of chicken! 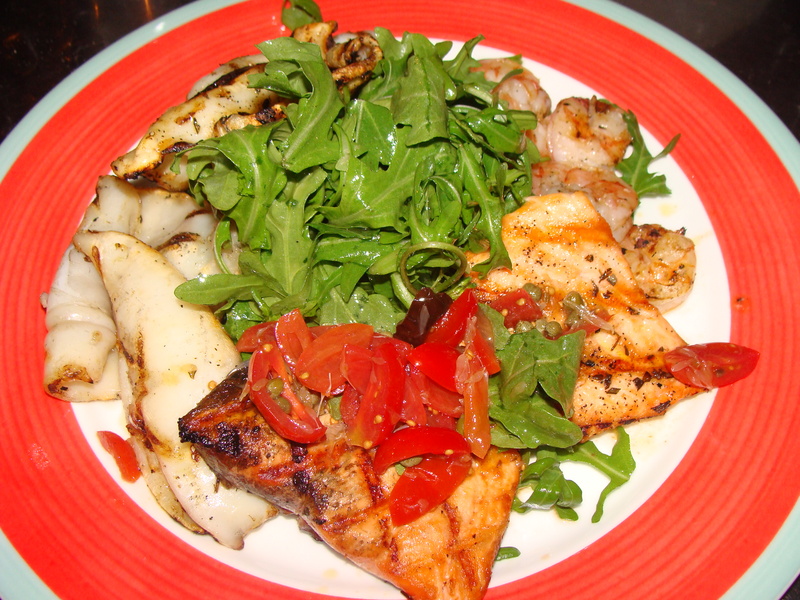 I went with the Insalata di Mare–mixed grill of shrimp, salmon and calamari served with arugula salad. We were both happy campers once the food came out! Question of the Day: Do you have a woman/man night/me night? I’ve never been to – or even heard of Sette! Your meals look grea though. Definitely one to add to the list :). Woman’s night out is a great idea! I get to do it sometimes, but nothing’s regularly scheduled, besides work outs which I will totally count! 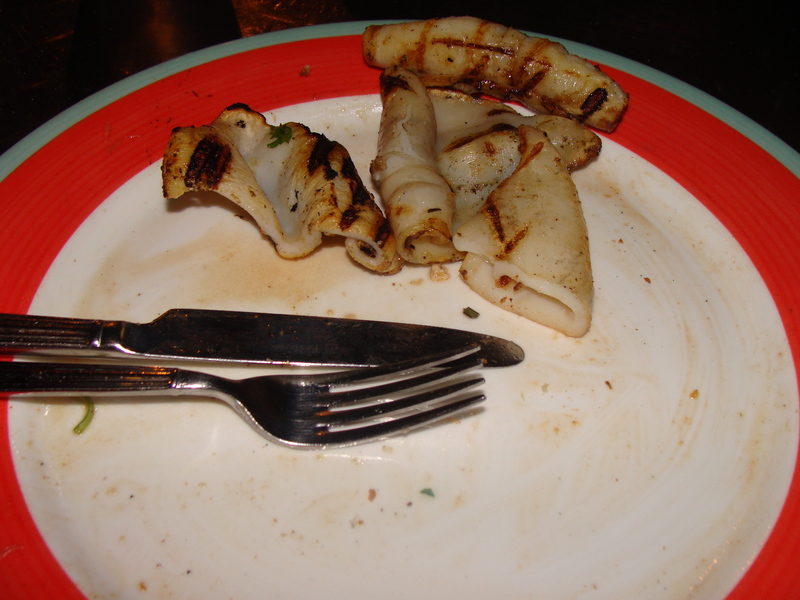 Your meals look fantastic, besides that calamari. I’m with you, it needed to be fried! And you both are SO cute!